This is the time of year I start making beet kvass, just as the bushels and bags of local beets are at the markets. I start making kvass weekly in late September, and continue through Winter to Spring. I’m not sure why I don’t do it more in the summer, perhaps because I enjoy eating locally-grown beets raw. I love the sweetness and crunch of freshly grated or spiralled beets in salads and sandwiches. I think tepache is more appropriate to drink in hot summer months, and will leave the cooler months to enjoy the earthy, salty, more intense flavour of beet kvass. Kvass is a lightly fermented beverage, traditional in Ukraine, Russia and other regions of Eastern Europe. This drink is generally made using stale bread, water and flavourings. 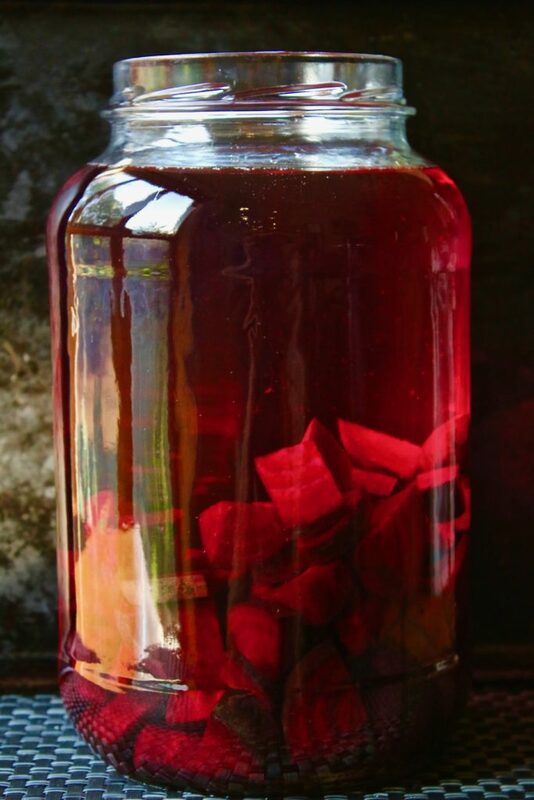 The version I like to make is a vegetable kvass, using beets instead of bread. Carrots can also be used, but I prefer the deep crimson, full-bodied flavour of red beets. 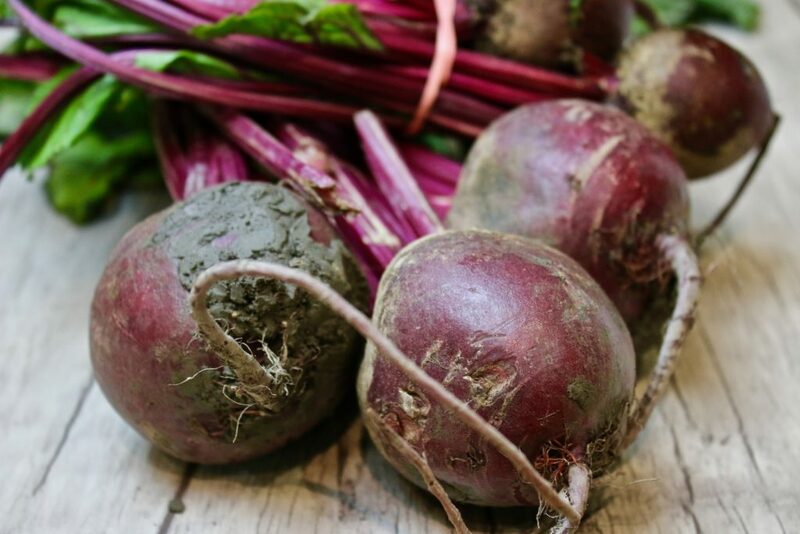 Beet kvass has the bounty of nutrients found in beets: high in vitamin C, folate and iron, among other nutrients. Kvass also has the bonus of probiotics from the fermentation process. 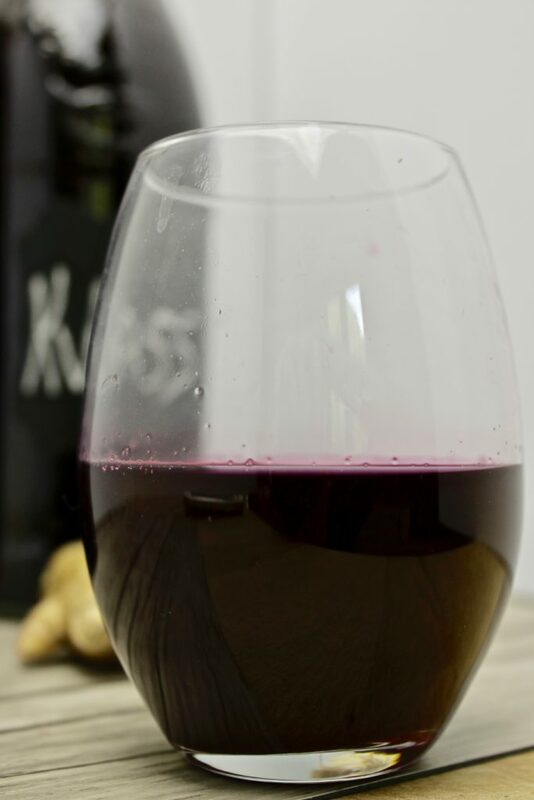 I like to start my day with a small glass of beet kvass, and will also have a shot when I’m craving something salty and savoury. Beet kvass is also a delicious addition to vinaigrettes, especially for Fall salads, and as a base for borscht (of course!!). 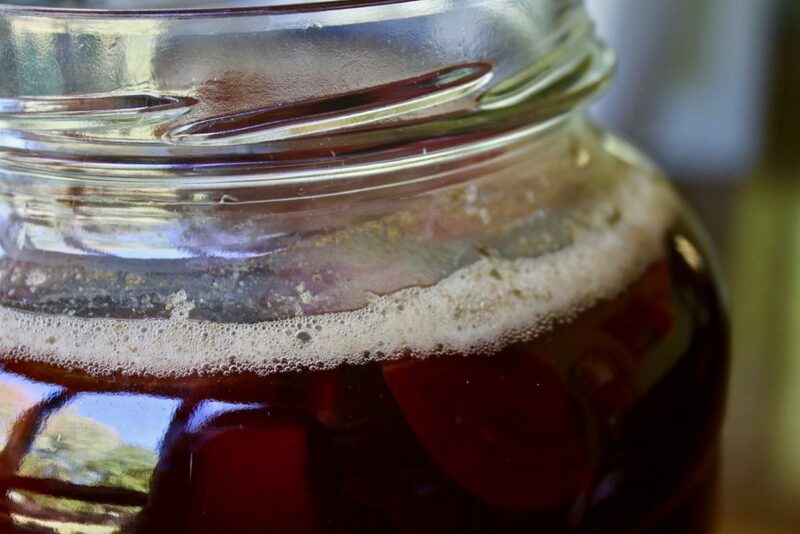 Like tepache, beet kvass is a wild ferment (no starter culture is needed). The naturally present yeast and bacteria are enough to ferment the kvass. It is also a very quick ferment and can be ready in 2-3 days. The flavour can also be enhanced by doing a second fermentation (bottling the kvass and leaving to sit at room temperature for an extra few days.) I like to add ginger to my kvass and leave it to second ferment for at least 3 days. Beet kvass lasts a long time once refrigerated. I actually sampled a bottle that I left for almost a year in my fridge and couldn’t get over the amazing flavour and fizz! Wash and trim beets of greens. Leave skins on, cut into ½” pieces. washed and cut beets- leave the skin on! 2. 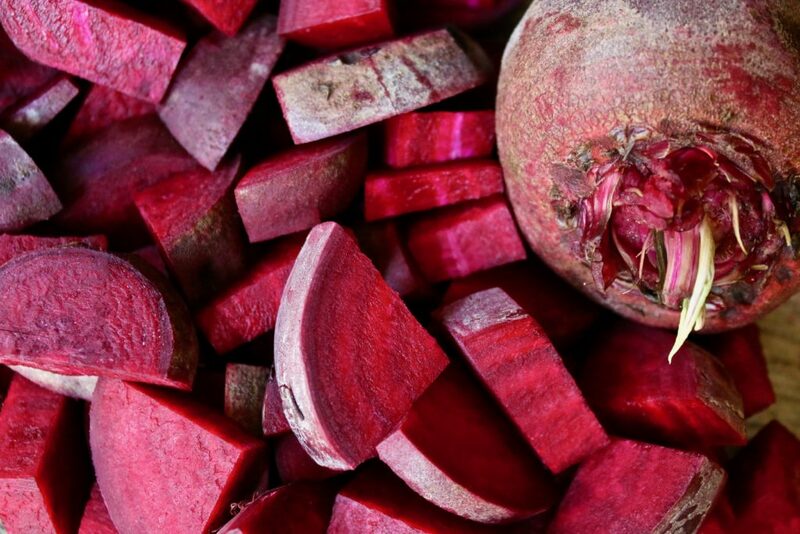 Place beets pieces in fermentation container, filling approximately ¼ to 1/3 in container. Add salt and top with water, leaving ½” headspace from the top of the container. Lid the container and give it a swirl to mix contents. Ruby red beet kvass after one hour! 3. Leave beet mixture to ferment out of direct sunlight for 2-5 days. The longer you leave it, the stronger the flavour. To avoid mold, try to give the jar a swirl at least once a day. After a few days, you will see bubbles appear, and possibly a harmless foam or scum on the surface. This is a good indication of fermentation. 5. 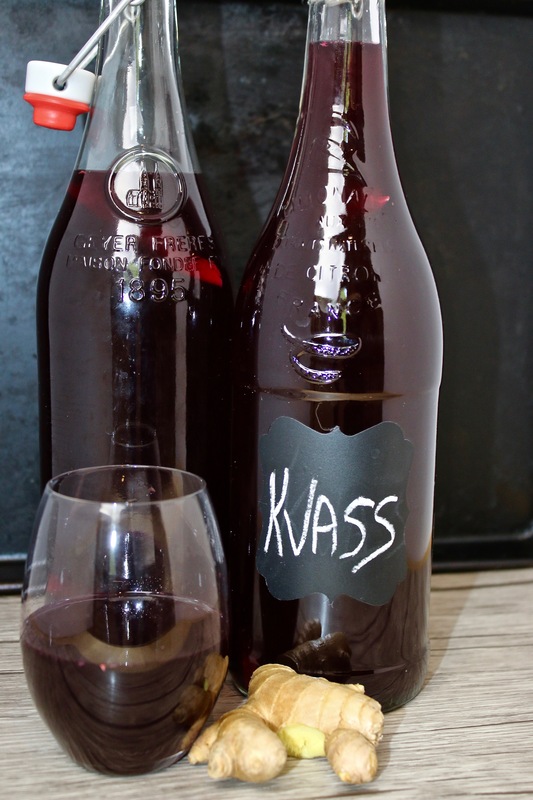 The kvass can be bottled and put directly in the fridge, or you can do a second fermentation to add flavour. Leave the bottled kvass at room temperature for 2-3 days, then place it in the fridge to decelerate fermentation. Jody is an avid foodie, amateur chef, and a fan of simple, healthy eating. 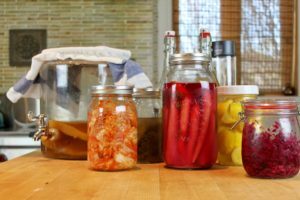 She learned the art of fermentation after discovering the fascinating connection between gut bacterial health and the overall health of the body. Jody was impressed with the positive health benefits her family experienced after adding delicious and traditional fermented food to their simple, balanced diet. Jody was so inspired, she created The Cultured Foodie, a resource teaching how to prepare and incorporate tasty fermented foods as part of a balanced and healthy lifestyle. Fermenting 101 Workshops available upon request- learn fermentation basics, sample delicious fermented treats, make a jar of fermented food, and leave with a starter culture and the confidence to make fermented food at home! For the beginner to the experienced, I love sharing delicious fermented food techniques, products, and related topics I’ve discovered, to help you on your journey to a healthy and wholesome diet.